with little paper umbrellas in them. pineapples from Concord & 9th?! 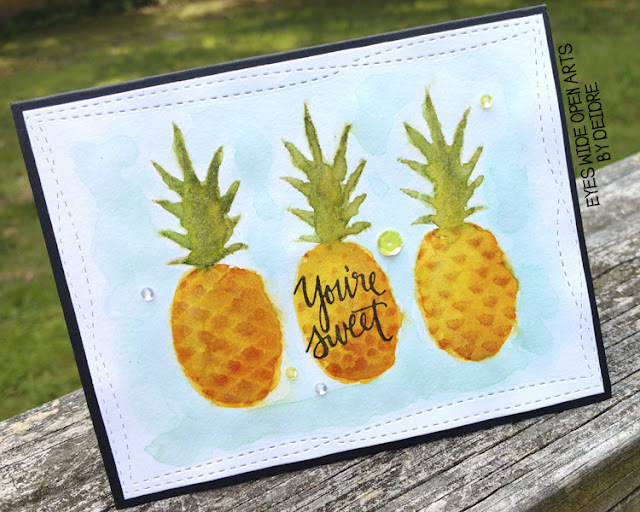 I lined the 3 different stamps up in a row on my MISTI and inked them with Wild Honey Distress Ink. I knew I was going for a painterly look, so I misted them lightly with water before stamping. I did the same with the pineapple top using Peeled Paint DI, followed by a quick pass with my heat tool and then some Mustard Seed and Mowed Lawn DIs for a little depth. I swooshed around some Evergreen Bough DI for the background, stamped the sentiment from the same stamp set, and glued on a few little sequins. 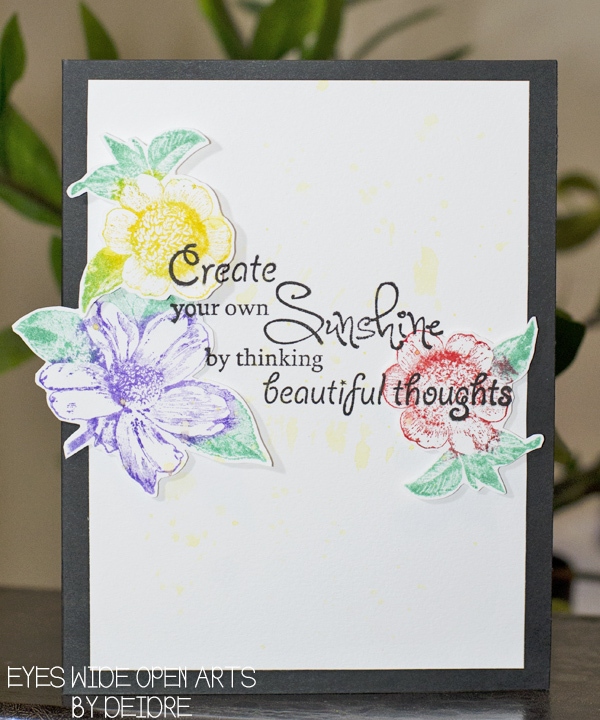 Link up your card for a chance to win a prize from our awesome new sponsor Mint Owl Studio! How do you say congratulations?? I love a good old-fashioned party! 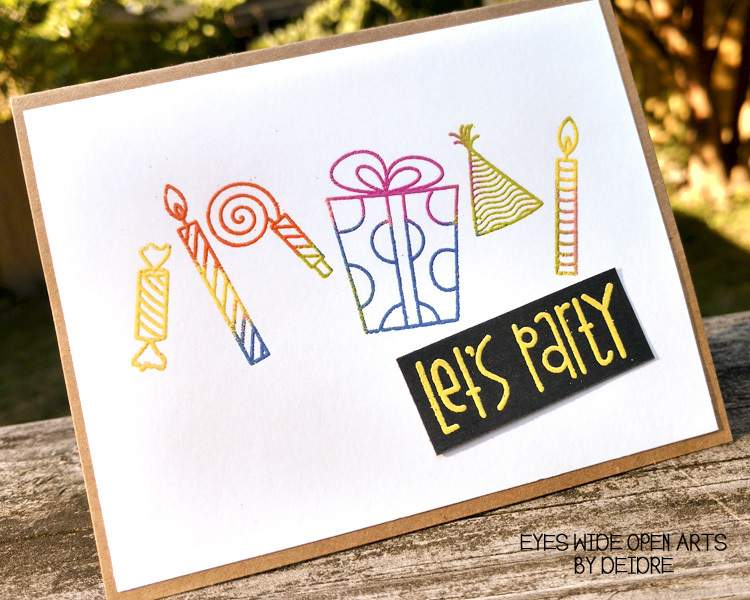 Our super amazing sponsor for this week, STAMPLORATIONS, sent me this awesome stamp set "Party Mates" to use for the challenge. Let me tell you, there are over a dozen clear stamps that come with this set. 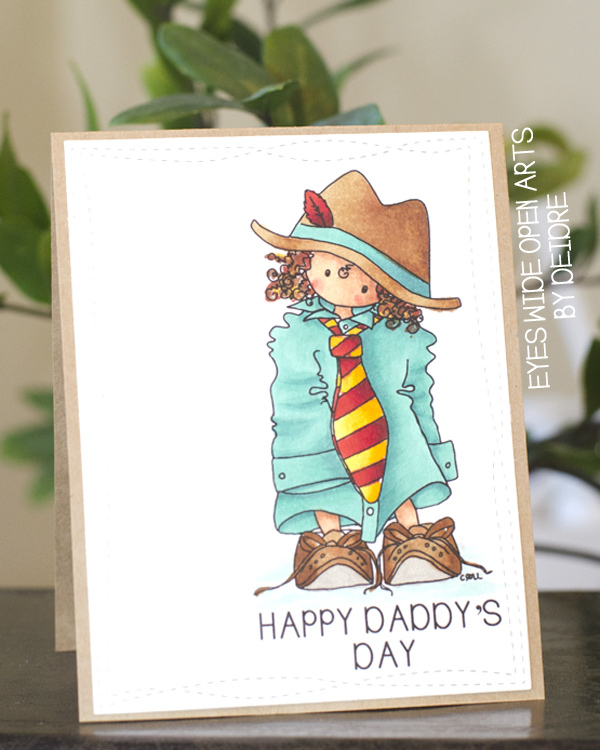 I thought it would be fun to use various colored embossing powders for a fun and festive look. You've got to hop over to the DT's pages to see how they said congratulations this week! Don't forget to link up your card for this week's challenge for a chance to win! Does everybody know what we're celebrating this Sunday?? Thanks to an amazing little Tiddly Inks digi stamp and my Copics, this week was so fun! You've got to see the manly man cards the DT put together this week :) And let's thank our awesome sponsor for this week's prize: 7 Kids College Fund. Looking forward to all of your guy cards this week! and it's all thanks to you! This week we want to shine a little light...especially on our blog candy winners. Our cue card this week: SUNSHINE. These flowers stamps are absolute lovelies from Rubber Dance Art Stamps. and are our awesome sponsor for a lucky winner of this week's challenge! and their blog candy winners. Hope your week is filled with sunshine and smiles!